that has had the relaxer dream before. MissKrisNew knows what's up. When I had a relaxer dream, post BC, I woke up tight and immediately started touching my hair feverishly to make sure it was a dream and not real! LMAO. Any of you had this kind of dream before? Before I sign off, Leave in the Kinks is having a contest. 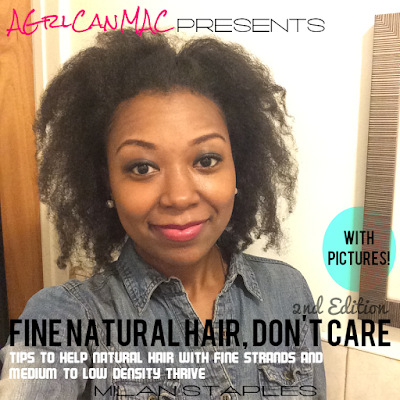 They are looking for you to share your dopest natural hairstyles that are an expression and extension of who you are. The original post says the deadline is May 1st but they have extended it to the 15th so get over there and send in your entries. I would enter but my hair still isn't really long enough to put into any real styles. Wait. I take that back. An idea just popped into my head. I think I just might enter now. LOL. not at all! I've had several nightmares and woke up touching my hair! Lucky you! I was sooo upset when I woke up. LMAO. Thanks for posting on the contest. I just entered with some photos. And I finally got my blog award that you gave to me up on my site. Phew. I've been a little behind. Ha, that sounds funny, but you know what I mean. Makeup Theory: Awesome! I can't wait to see your pics. Laquita: I know she's glad it was just a dream. LOL. Hey girl, thanks for the shout out! I definitely think your hairis long enough to pull off dope styles. Mine's probably shorter than yours and I keep playing in it. i had that dream not too long after my BC. it was scary lol. i can't believe we all had the same experience. I heard of this relaxer dream happening to people before. I know I will never, ever go back to putting chemicals in my hair after how my scalp feels now, how my hair is thick and soft and seeing my curlz for the first time in years! I'm lovin it! I had this dream twice and woke up in a cold sweat. It was even all silky looking and I hated it more since perms, besides the pain on my scalp, are not me. I always hated getting perms as a kid even though my hair was down my back, the pain was always so unbearable!! I had the dream recently and woke up frantically running my fingers through my locs to ensure it was indeed a dream.